Vector Illustration of Philippine jeepney. Philippine jeep loaded with people. Different styles of jeepney. Jeepney outline. 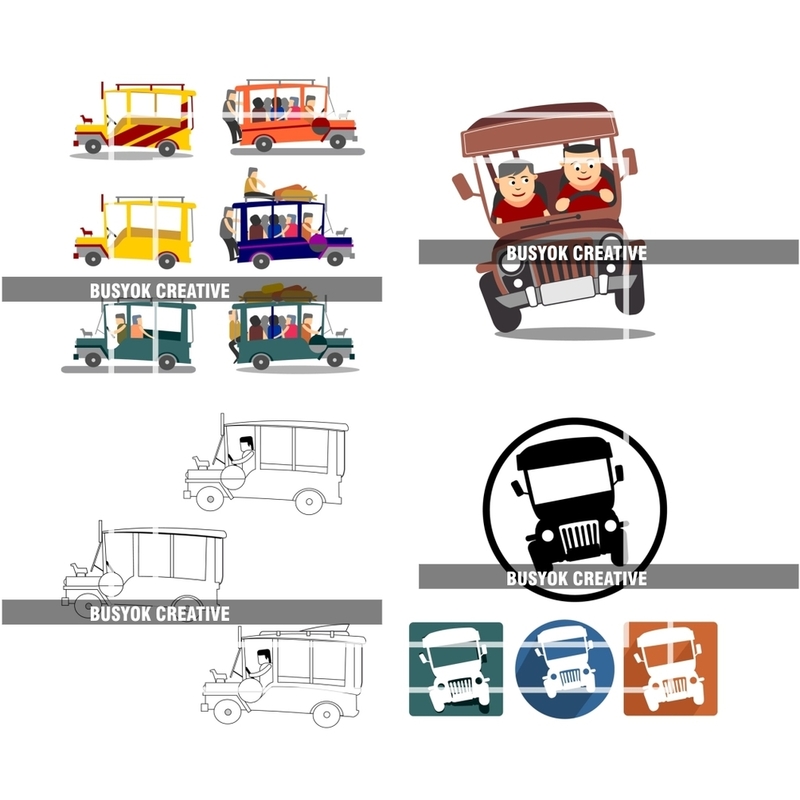 Jeepney Icons.